The Economist writer Ryan Avent’s thesis is that the world has a glut of labor that will only get worse forever—due to advancing technology and automation—and that the main solution is politically-difficult redistribution. Among other things, he discusses the potential remedies of trying to increase global demand (questionable feasibility) and of breaking down barriers to immigration. 1. Avent cavalierly rejects a credible argument that our civilization has already plucked most of the available low-hanging technological fruit (e.g. cars, electricity, etc.) He does so in spite of the anemic amount of productivity growth that has resulted from computer technology so far. Avent visualizes a more-or-less unlimited potential for increasing capabilities in AI and robotics. Therefore, humans’ areas of advantage over machines will steadily shrink. The chattering classes’ current obsession with AI is similarly lacking in a cognitive-science-based understanding of human intelligence. AI advances are certainly being made—especially in the pattern recognition algorithms so useful for applications like online ad targeting. But simple extrapolations about AI are wrong. Ironically, Avent’s own example of how even journalism may someday be automated is illustrative: he shows us a news blurb about an earthquake, reveals that it was automatically constructed by software and text-substitution, and suggests that writing news stories in the future will require as much human involvement as a stock ticker feed does. It’s not that our AI software won’t keep getting cleverer. But to make it clever enough to displace most human jobs would require increasing amounts of specialized programming and knowledge representation, to a point where diminishing marginal returns makes it uneconomical to apply. That will always be the case. 2. Avent assumes that, once our economies efficiently produce enough of the essential products and services, that a lack of increasing demand will guarantee a flat or decreasing demand for human labor. Here I think Avent shows a surprising lack of imagination. Caveats, of course: certainly the types of services demanded will evolve and change over time. No doubt many of the jobs in the far future will involve endless varieties of either programming or sales. And admittedly there are certain kinds of goods that are in limited supply, such as land, fame, and political power. But a static world wherein everything we want is provided by computers and robots, and our desires for more/better stop rising? No. Even if Avent is off about both of these points, however, I do believe in the basic proposition of a worldwide labor glut that is depressing wages and employment. It is the central political challenge of our time. On the question of redistribution, Avent provides useful perspectives about the way we try to shut out others who are not so lucky as us. He discusses immigration, of course. But he also talks about how big-city property owners fight to prevent building of additional new housing, which drives up property values (and their own wealth) and prevents outsiders from participating in the most vibrant areas of the economy. But we should also realize that those societies do not belong to us. If we are lucky enough to find ourselves within them, we can argue credibly that we are contributing to them and therefore deserve a share of the benefits that flow from them. But the fact that we are lucky enough to be within them and contributing to them does not confer on us the exclusive right to such a position. If anything, it confers on us the responsibility to try to make the society as robust as possible, so that its membership can be extended to as many people as possible. No one deserves to be poor. No one deserves to be arbitrarily rich. 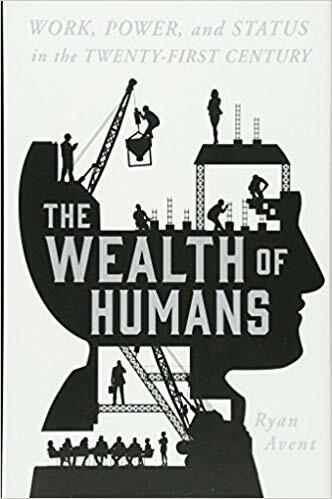 Rich societies can find ways to justify their great wealth relative to others: their members can tell themselves stories about the great things they did that others could not have done that made them wealthy beyond imagination. Alternatively, they could recognize the wild contingency of their wealth, cultivate human empathy, and do what they can to extend the wealth of humans to everyone. Elsewhere he uses the example of Bill Gates, who did great things, but is it unlikely that a Microsoft would have emerged if he wasn’t there? Further, if Bill Gates had instead been born and raised in the Central African Republic and tried to start a software company there, would he have been successful, in spite of the lack of social capital? This obviously raises deep questions about how deserving the super-rich are of their billions. Ever since the Soviet era, conservatives have warned us about the centrality of incentives, and most people have grudgingly accepted the arguments. When we understand the concept of social capital, though, skepticism may arise. Interesting article about our recent, abysmal (1.2%) rate of productivity growth. The author, a Chicago Booth professor, tells us not to despair yet.